Here’s a great tip for steel band music directors looking for music scores. We want to thank Mark Curry for this. He’s the Music Supervisor at Clarke County Public Schools in Berryville, VA.
VistaPan sells a basic book with full master scores and all the instrument parts for steel pan bands, but many people have noted that there are very few such books available and reasonable in price. 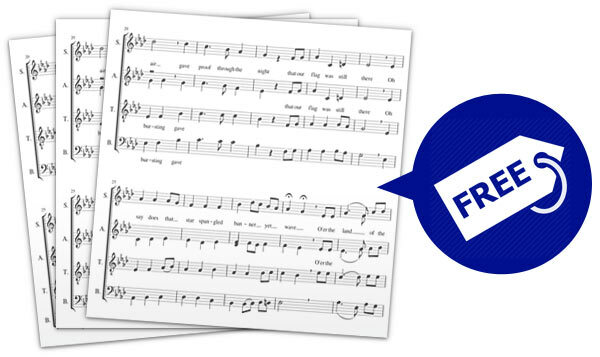 A great free solution is to use SATB vocal scores. If your steel band is four voice, SATB scores normally fit the ranges of the steelpan instruments perfectly. There are different websites that have free SATB arrangements. A good one to go to is musescore.com, where you can find hundreds of scores absolutely free to print out. In the search box you can type “SATB” and you will see arrangements of all types including some popular songs. You can press a button to hear the arrangement and you can print out the different parts for all of your steelpan instruments. Just pass them out and play! You may want to tweek some a little or possibly add basic soca or calypso rhythm parts to others. You can also use scores written for other four voice ensembles such as string quartets and saxophone quartets, although these sometimes require more in the way of range adjustments. The musescore.com website also encourages you to share your own arrangements on their website by using their free music scoring software.